It takes a Romantic mindset to recognize and capture romantic moments. When Love is present, there is electricity in the air, yet many small nuances may be overlooked by video professionals who do not specialize in weddings, who are not in the state of mind to bring that feeling of love into a video production. You want your Wedding Video to bring back all the Elegance, Intensity and Deep Emotional Passion that will be present on your big day. We are experts at doing just that. Jon Montis, Aubrey Custalow, Jamie Custalow, and Mike Wiatrak combine for decades of experience and hundreds of weddings. We will provide you with the highest quality video and capture your wedding and it's most romantic moments as only true wedding professionals can. This is why we are considered one of the best wedding video teams in Tampa. One (1) Cinematographer, Two (2) HD Cameras (One Stationary). Up to Two (2) Hours of Coverage - includes bride room-pre-wedding, guests entering and ceremony. 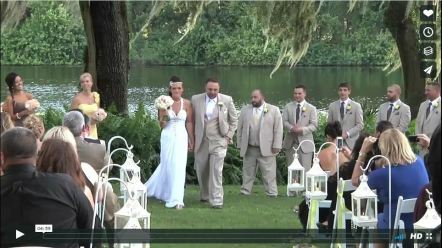 Edited Video - Photo and video montage set to music and your full ceremony. One (1) DVD (Additional copies – $20 each). Up to Six (6) Hours of Coverage – includes bride room pre-wedding, guests entering, ceremony, cocktail hour, and reception. Web Hosted Highlight Video (10-15 min) to share with family and friends. Edited Video (45+ minutes) – includes ceremony, speeches, dances, toasts, etc. photo and video montages and highlight reel of your special day, set to music. Web Hosted Highlight Video to share with family and friends. One (1) Cinematographer, Two (2) HD Cameras (One stationary for ceremony). Up to Eight (8) Hours of Coverage – includes guests entering, bride room pre-wedding, ceremony, cocktail hour, and reception. Edited Video (45+ minutes) – Your ceremony, including speeches, dances, toasts, etc. photo and video montages and highlight reel of your special day, set to music. Two (2) Cinematographers, Three (3) HD Cameras (One stationary), Additional Audio Set-up. Up to Twelve (12) Hours of Coverage – includes bridal party getting ready, pre-wedding set-up, guests entering, bride room pre-wedding, ceremony, cocktail hour, and reception. Wedding Rehearsal – up to Two (2) Hours. Slideshow video to play at wedding (one song). Drone Videography is Available - $300/partial day, $500/full day. Aubrey and Jamie Custalow love doing things together that bring them joy and happiness as a married couple. What better way to do this than to share their understanding of what becoming a family is all about? 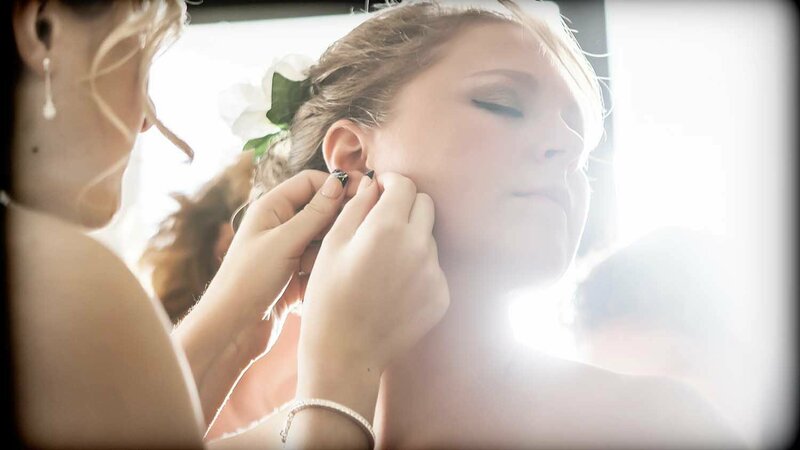 They not only record your wedding, they take what they capture, and through their experience as a loving family, craft an emotional trip for you that truly captures the intent and beauty of your big day. It is their love that allows them to tap into your love and display these emotions in an everlasting treasure that you will have to enjoy and remember for many years. You can trust them to bring all your dreams and feelings to reality in your own personal “Reel” video portrait of your special day. Mike Wiatrak is a longtime member of the Tampa Bay chapter of the Sunscreen Film Society (SFS). He began his career as a still photographer, photographing weddings and engagements. Since then he has won three Crystal Reel Awards for his specialized video production. Mike brings decades of experience in video and the wedding industry to our team, as well as a technical expertise in numerous video techniques. Copyright © 2008-2009 JonMontisPhotography.com. All rights reserved.